PizzaGate 3: The Giving Continues. Those of you that have been around a while probably know the origins of PizzaGate. For those that are new and want to read up on it, you can get the backstory here. Year 1 of PizzaGate we raised $13,310 for the St. Louis Area Foodbank. Year 2 of PizzaGate we raised $6,640. Each year we change up how we raise money, but the Foodbank remains a special charity to us all. 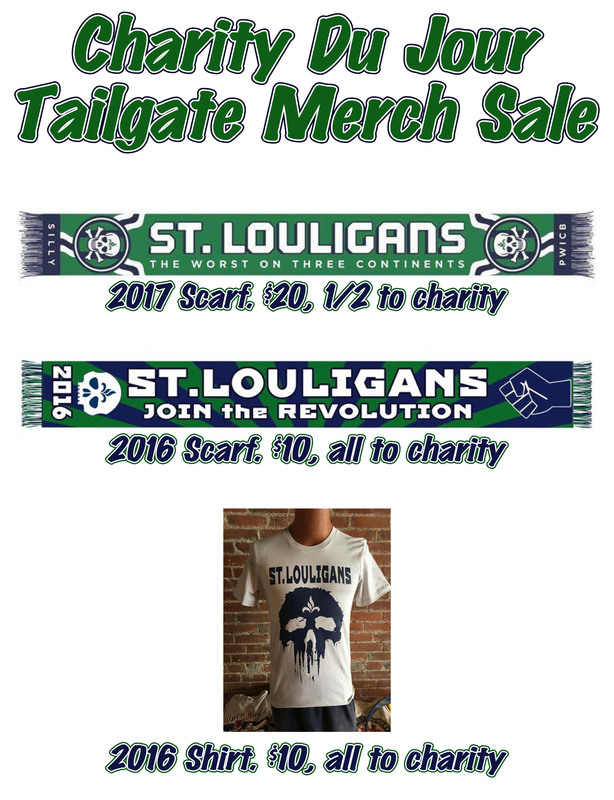 In addition to doing our annual soccer game vs American Outlaws St. Louis where we collect food donations, it has become a tradition to collect money and have merchandise sales for the Foodbank for our home games vs. Louisville City FC. 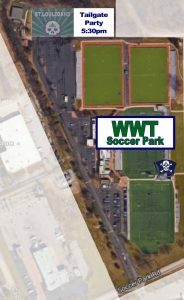 This season we’ll be doing it again and at the end of the season Jim Kavanaugh & Tom Strunk of World Wide Technology and STLFC/SLSG will be donating $10,000 to be divided among all of our Charity Du Jour causes (including the foodbank). We all have special causes, but the Foodbank is the one that really kick-started our charitable missions and we encourage everyone to give big this weekend. Last year’s Charity Du Jour collection for Foodbank was $1640. Our goal is to beat that in donation. To help we have a couple special deals going on. 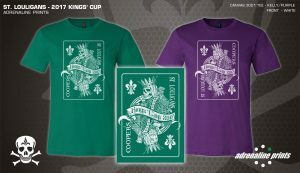 Adrenaline Prints will be at the tailgate party printing a brand new Kings’ Cup 2017 t-shirt. It’s available in Louligan Green or Cooper Purple. We’ll even have some kids sizes because we know there are plenty of little Louligans out there. Those shirts will be $20 each and a portion of the proceeds will be donated back to our charity for the day. 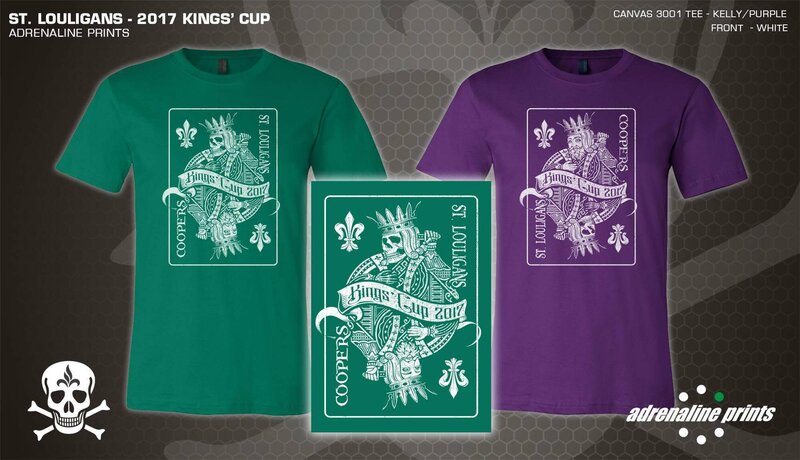 In addition to the new Kings’ Cup shirt we’ll have some of our existing merch on sale and will donate some of that back to the charity. 2017 scarves are $20 with $10 of that going to charity. 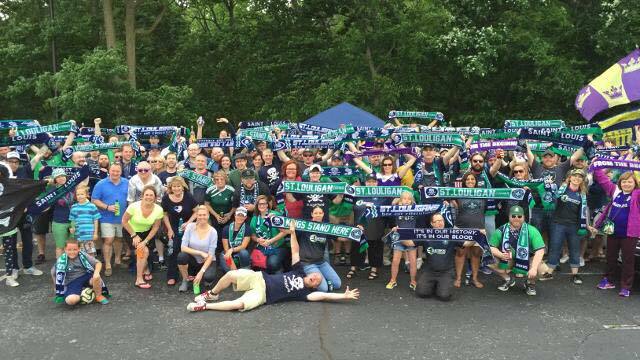 2016 scarves are $10 with all of it going to charity. 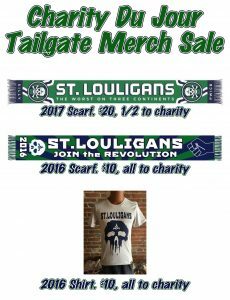 2016 St. Louligan Punisher shirts are $10 with all of it going to charity. As always stickers are available for $1 donation. And finally any extra tickets we get will be available in exchange for a donation. We also just take cash donations from kind hearted souls. 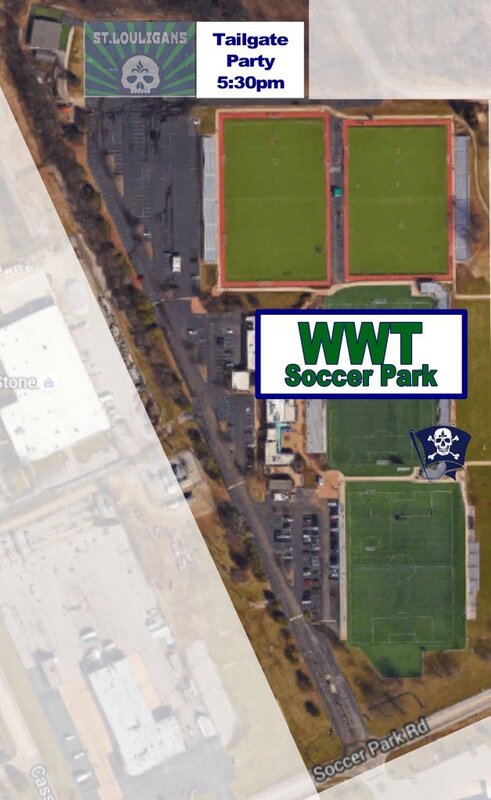 This tailgate will be huge and we invite everyone to join us to pregame party. Louisville always brings a good crowd of fans and it’s fun to get into a little parking lot banter before the game. Our Tailgate Posse will have burgers, slaw, potato salad & baked beans available to everyone for a suggested donation of $5/plate. The Louisville Tailgate crew will offer desserts for a donation as well as having a special raffle of their own to add some to our charity total for the day. Seriously, it’s going to get SiLLy! Last but not least, the game. This year it all comes down to this match. Whoever wins will take home the Kings’ Cup. But the real winner will be the hungry people of St. Louis. Soccer is great and is the reason we all get together every weekend. It brings people from all backgrounds together. It even helps people from different cities share a beer. But in this case it also inspires us all to give back to those less fortunate than us. They don’t know anything about this SiLLy little game of ours, but that’s just fine. Returning For His Third Pod Cap…PATRICK DOODY!!!!!!!!! GM Jeremy Alumbaugh Takes Your Questions!